(February 3rd, 2015) After a successful experience with their Lockport “Pop The Locks” wakeboard film shoot over the summer, Red Bull looked again to the Buffalo Niagara Region and the assistance of the Buffalo Niagara Film Office for their next extreme sports demonstration, as they set their sights on a frozen Niagara Falls. This time it was for a first ever ice climb on the frozen section on the US Side of the Horseshoe Falls with the world renowned Fearless Planet Host Will Gadd. 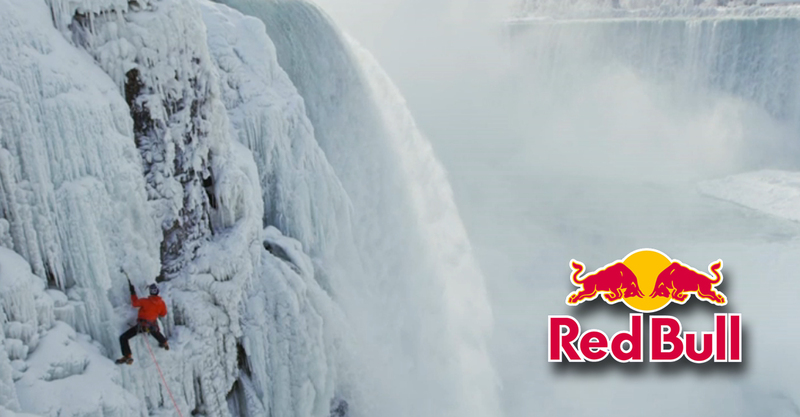 After weeks of preproduction and planning and the initial hesitation of state park’s officials, Red Bull and Will Gadd finally made their way up the base of the falls on Monday January 26th for a rehearsal, and then on Tuesday the 27th for the full climb. The result was another world class production in Western New York with worldwide attention from outlets such as the BBC, CNN, USA TODAY, and National Geographic within days of it’s occurrence.